The New York Times’s Public Editor: Criticism is Okay! The New York Times announced today that its new public editor will for the first time be a woman. Margaret Sullivan, the editor of the Buffalo News, will take over for Arthur S. Brisbane. Part of the problem with the way the job is conceived can be seen in Sullivan’s statement to the press, in which she says that she sees the position as offering, “a chance to listen to readers, to respond, to learn and to write, always thoughtfully and also in real time.” The trouble here is with the obsessive focus on readers and their opinions. 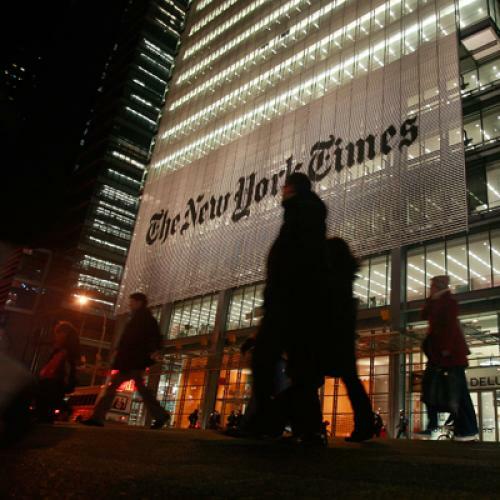 The New York Times is a huge—and hugely important—institution. Readers are constantly finding fault with it, often for good reasons, but also often for not-so-good reasons. What is a needed is a journalist or other intelligent commentator who will attack the paper’s flaws with a singular perspective, and even with a dose of wit and fun. Instead, the paper has given over precious op-ed page real estate to people like Brisbane, who devote entire columns to letters from readers, and who frequently spend a good deal of time dealing with silly complaints. This Sunday’s effort provides a good example of what has been so dreary about Brisbane’s tenure. Brisbane decided to air the opinion of “Steve Scott, a reader from Naugatuck, Connecticut,” who “was disturbed when a June 22 Arts section article derogated the artistic legacy of the recently deceased LeRoy Neiman, thinking it tantamount to ‘spitting on his grave.’” Readers like Scott—who is no doubt currently mumbling “get off my lawn” to the neighborhood’s young punks—will always exist. But Brisbane takes his complaints, and others like them, much too seriously. Indeed, Brisbane’s entire column is a defense of the practice of criticism! You might not think it necessary for Brisbane to write a piece saying it was OK to criticize art, but Brisbane and the readers he channels always seem uncertain and anxious about anything that could possibly be considered negative. Brisbane ends his column as follows: “This is one part of the news operation where firmly stated opinion, in the form of a critic’s expert judgment, can serve to educate, amuse and delight—but, I would have to add, should never come at the expense of the subject’s dignity.” I have never met Brisbane, but if I were asked to guess his age based on this sentence alone, I would unhesitatingly offer up 145. I wish Sullivan well in her new job. Fortunately for her, Brisbane offers a nice blueprint of how not to go about it.